Geometric decadence. 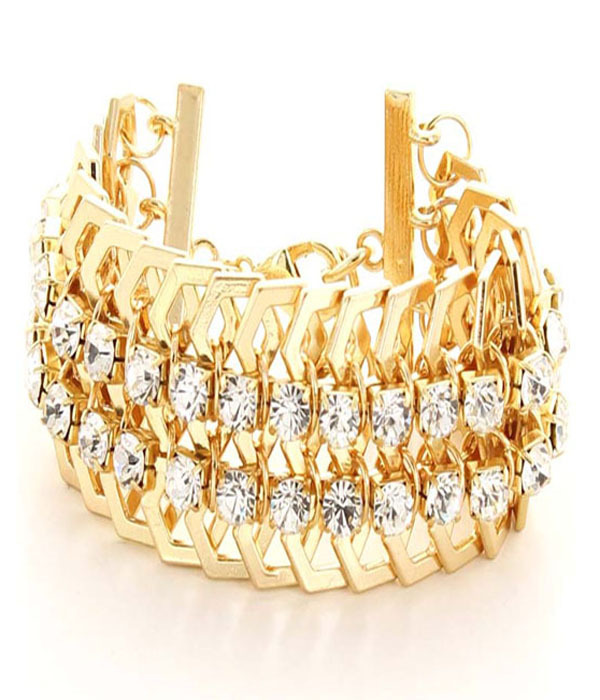 Sparkling crystal rhinestones line the multi-row hexagonal gold-plated chain link of the Frida bracelet. Featuring a clasp fastening and extension chain. Dress up a casual daytime look, then bring it on into the night. Spice up your favourite outfit with this lovely piece of fashion jewellery.